Joe Armstrong was raised in London. He studied at art and design at Epsom School of Art & Design for the next five years before moving to Cornwall in 1986. 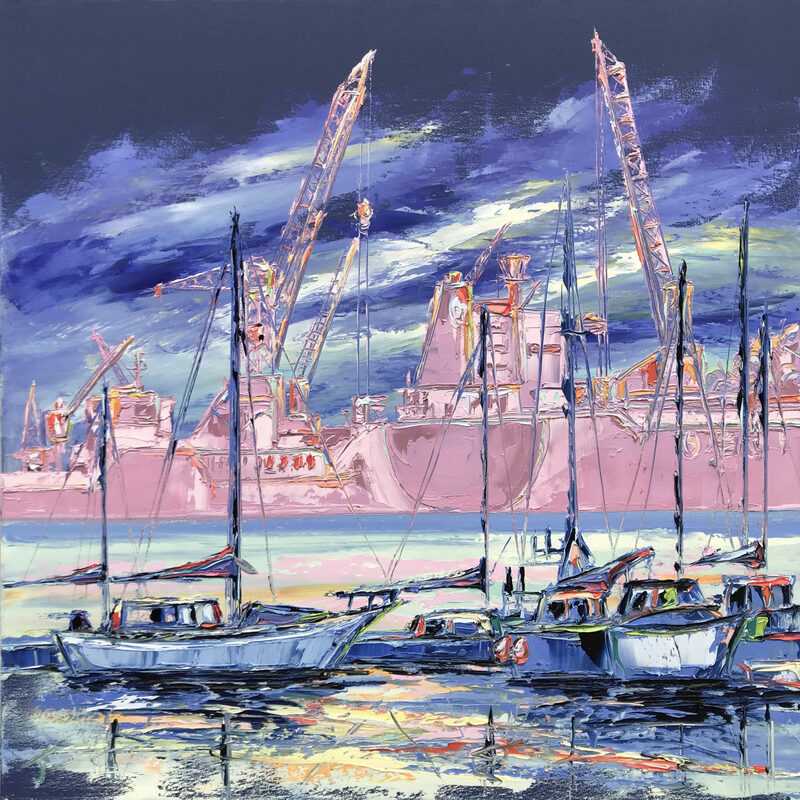 Joe had been working as a self employed Graphic Designer before devoting his time to full time painting. 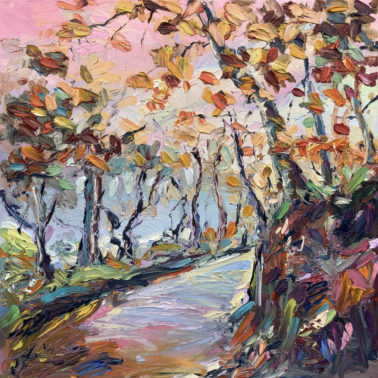 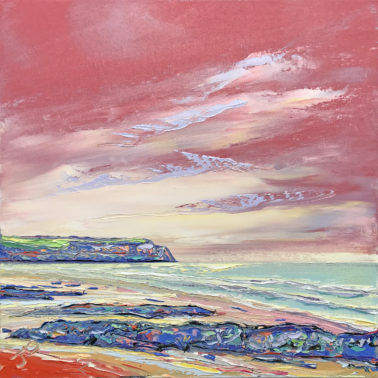 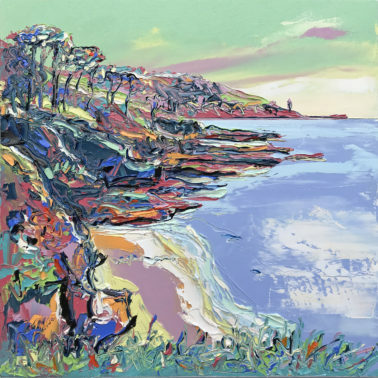 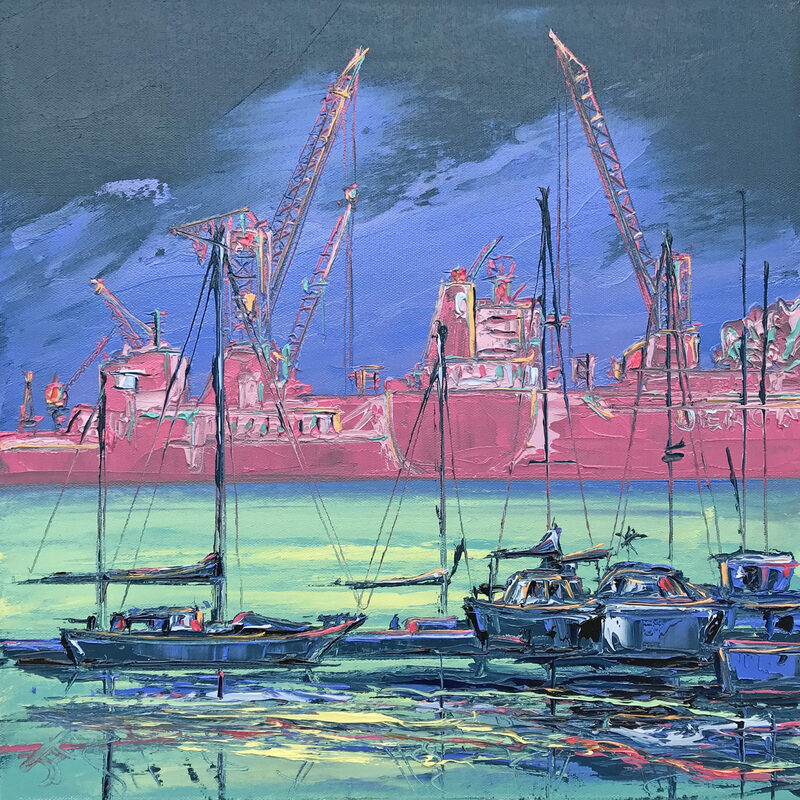 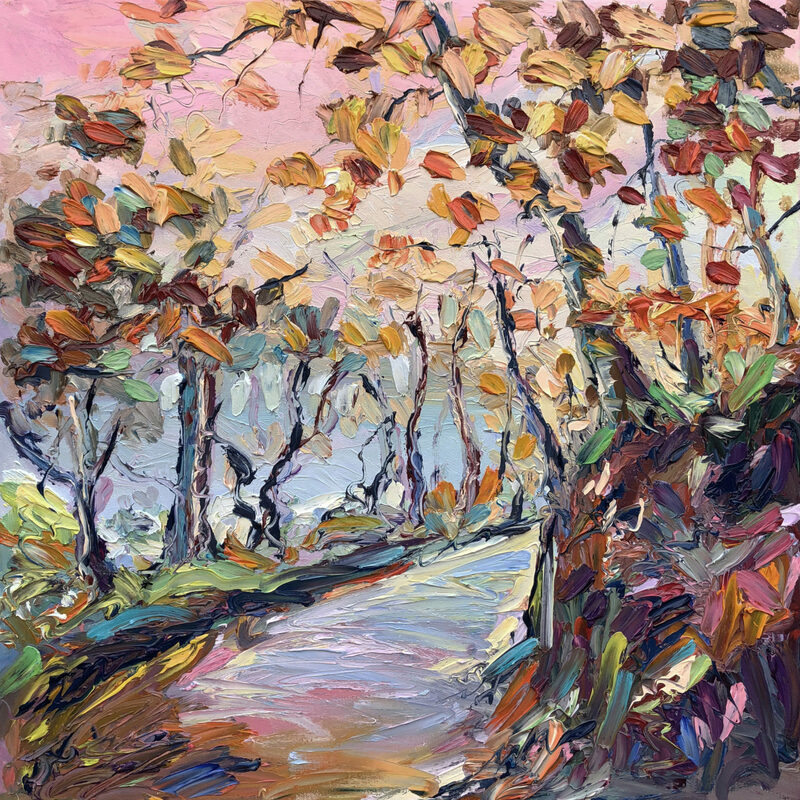 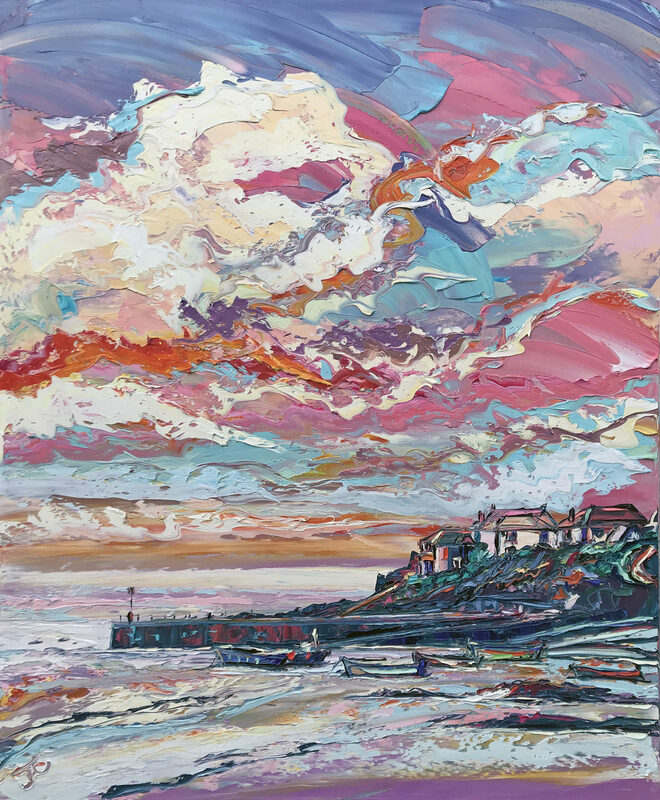 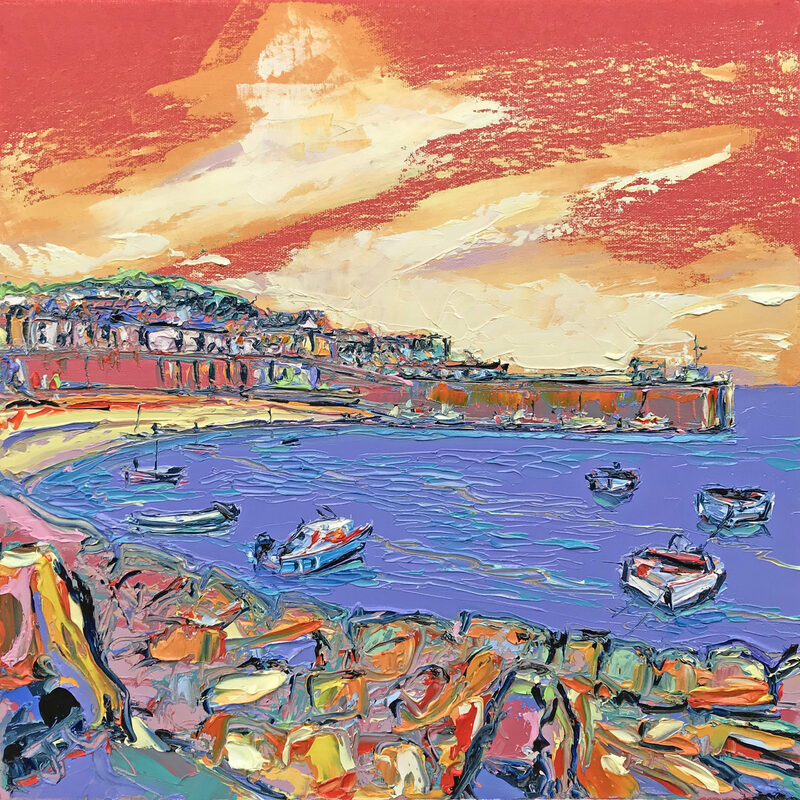 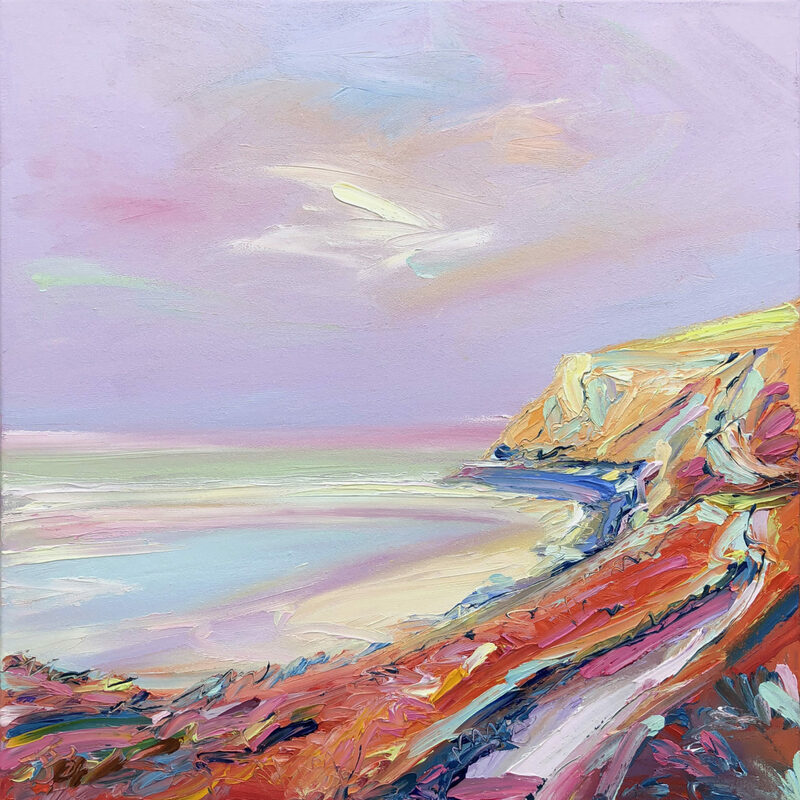 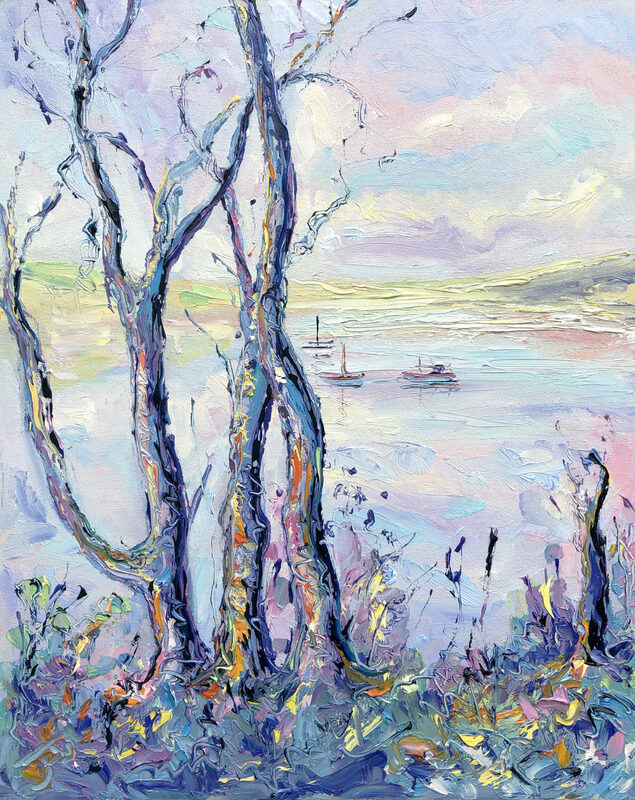 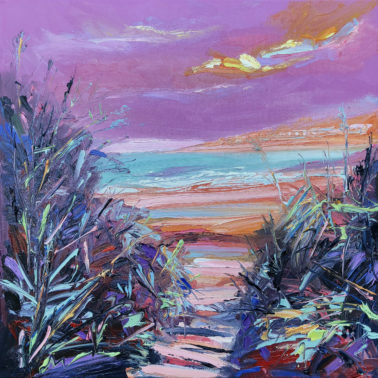 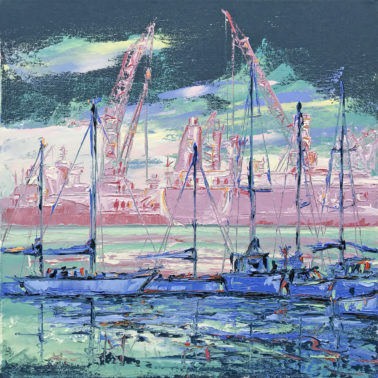 Joe’s semi abstract, palette knife style of oil painting is constantly developing and his unusual creations derive their vibrancy from using the oils directly from the tube. 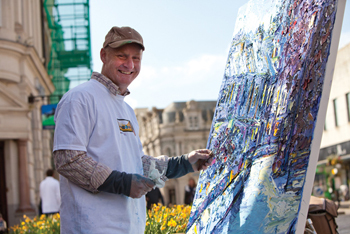 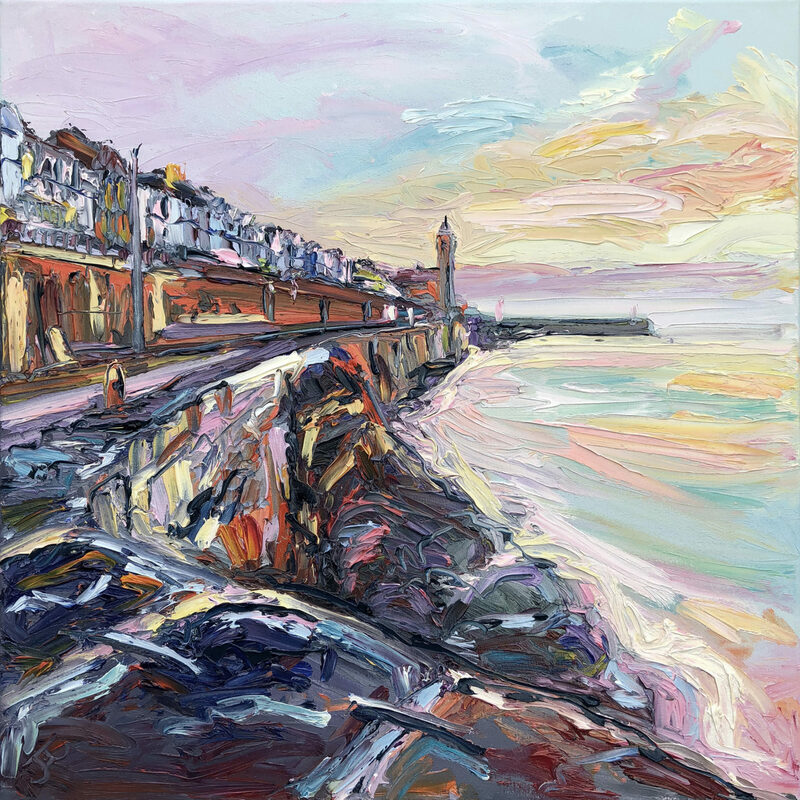 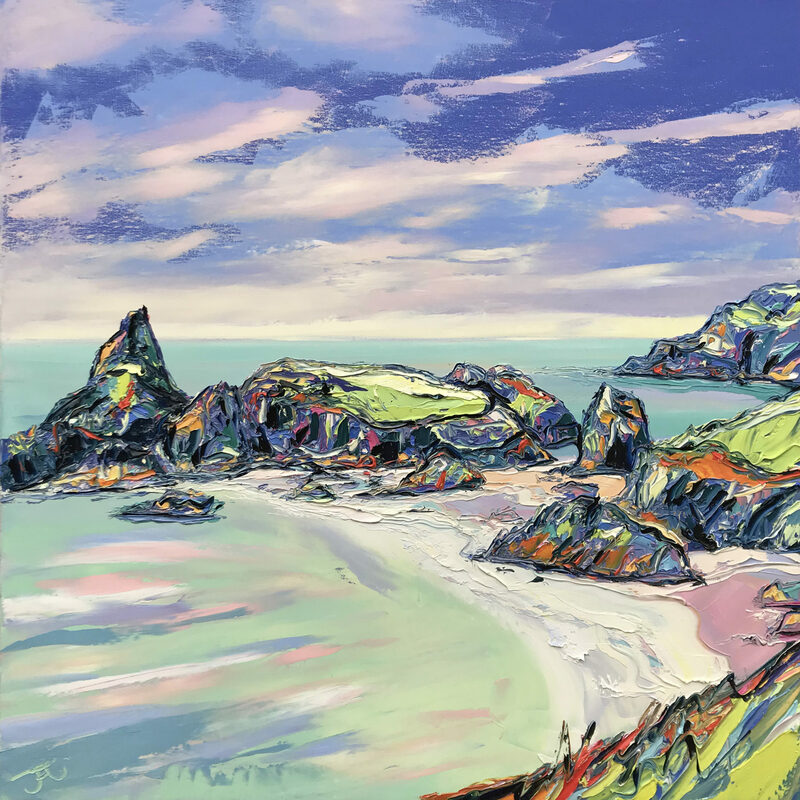 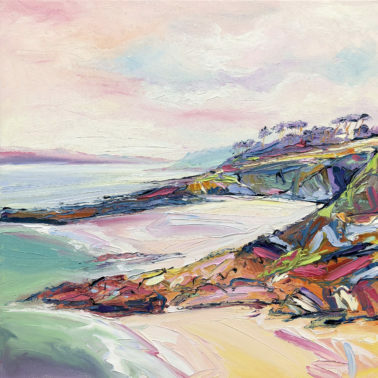 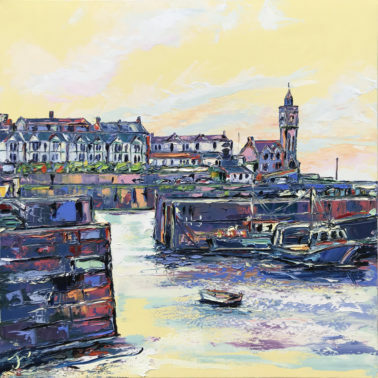 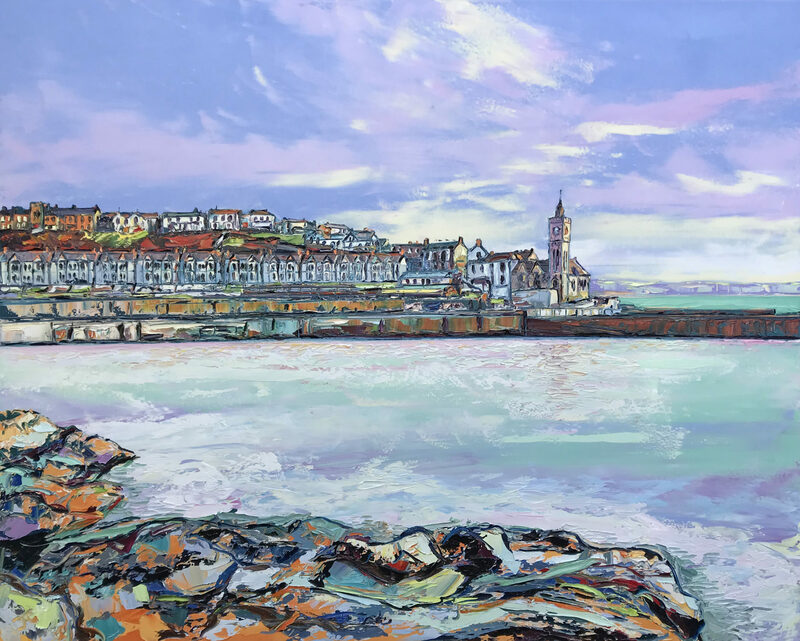 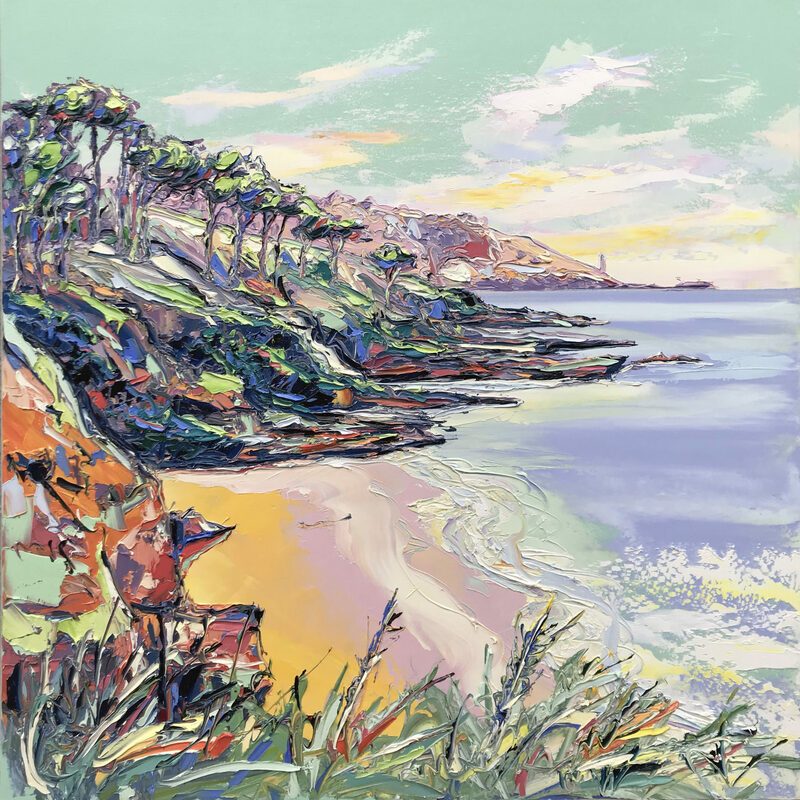 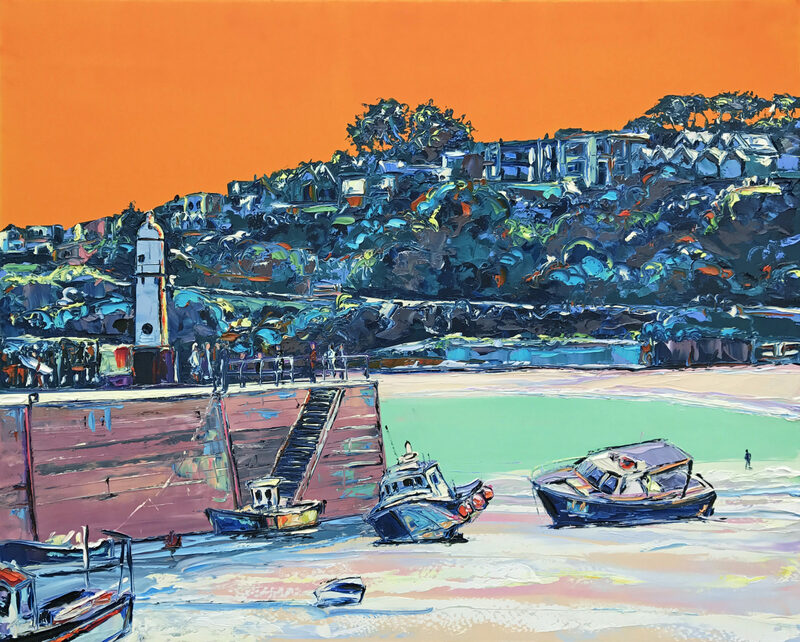 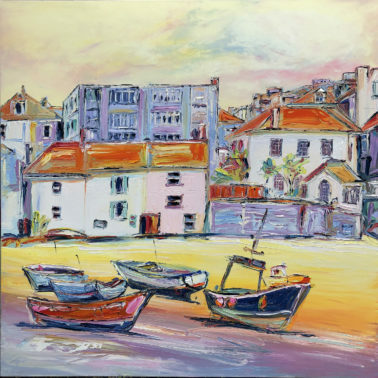 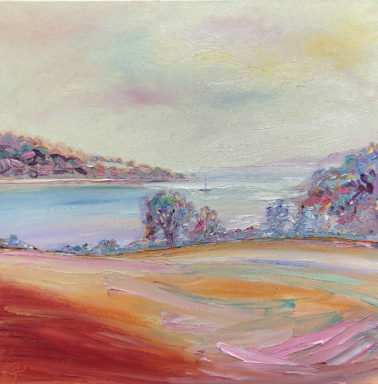 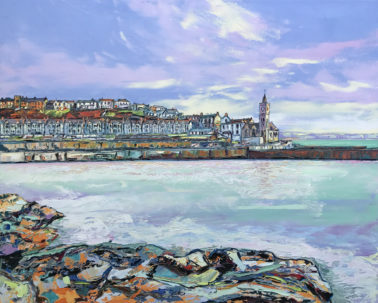 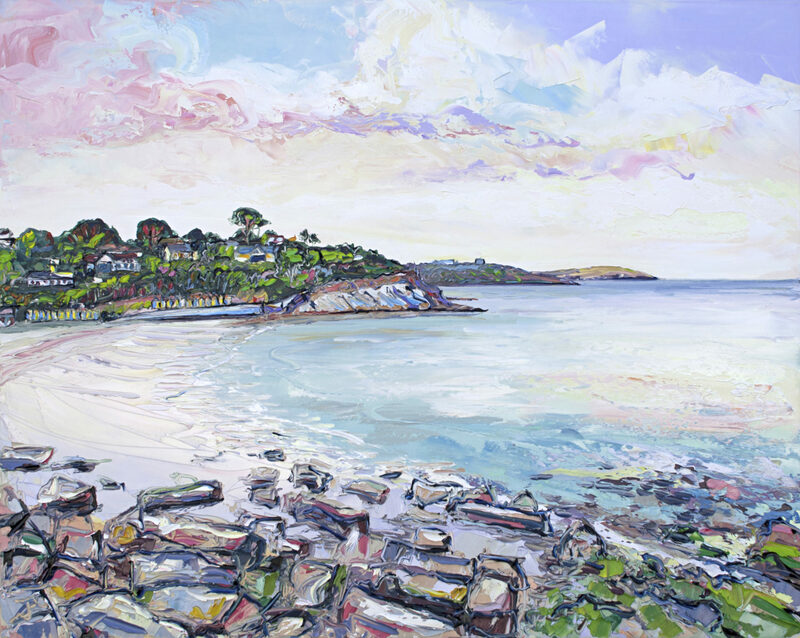 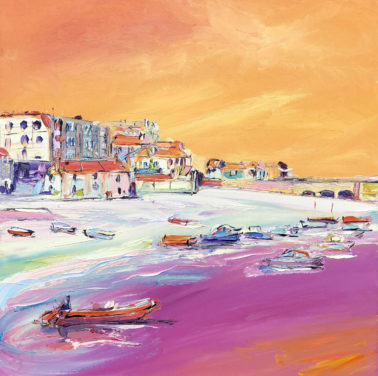 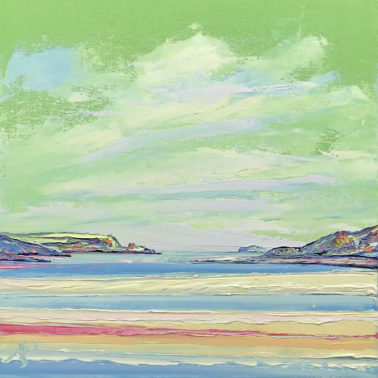 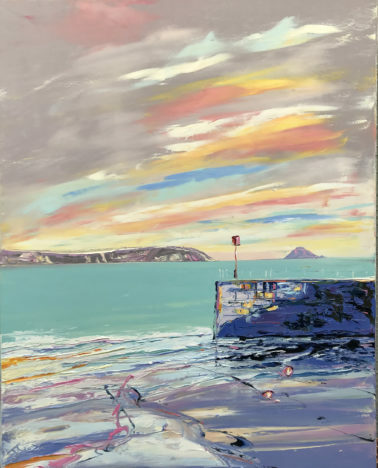 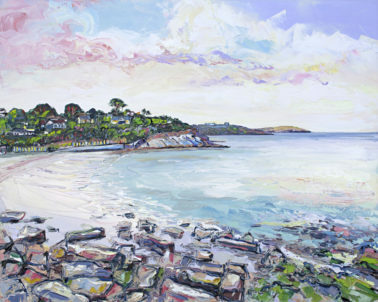 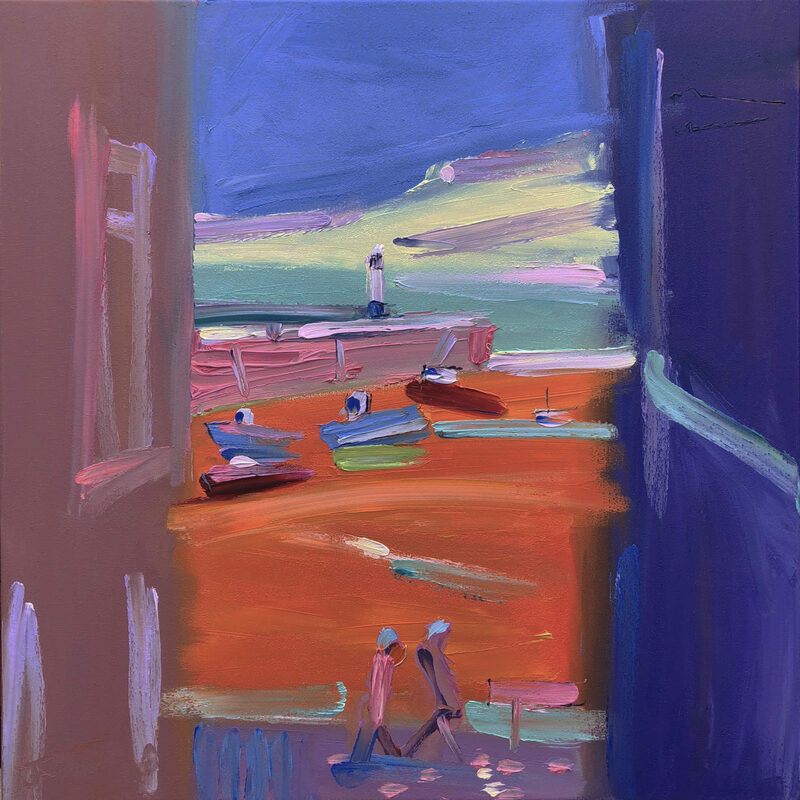 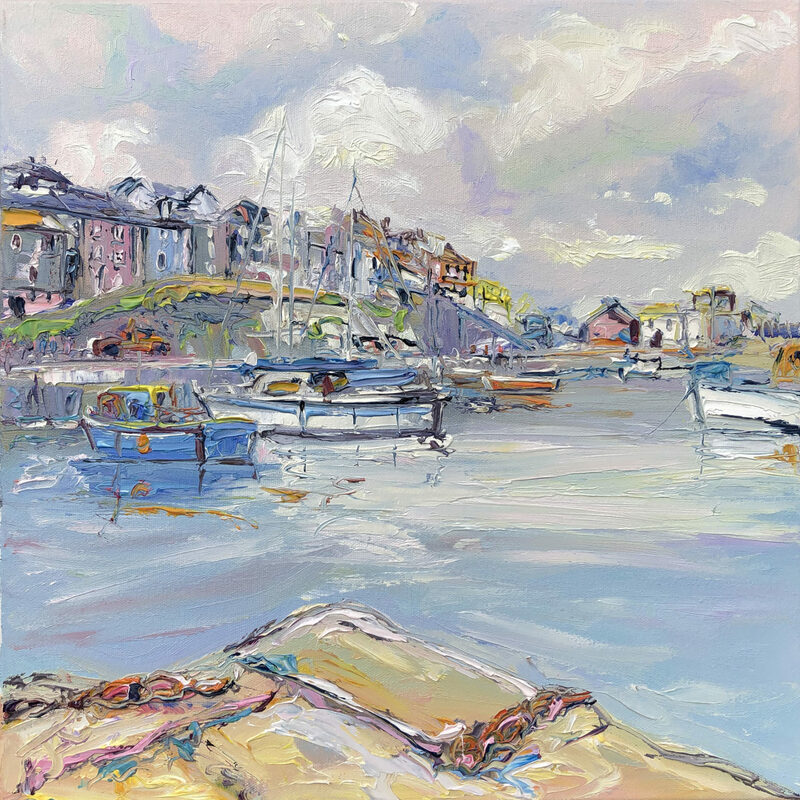 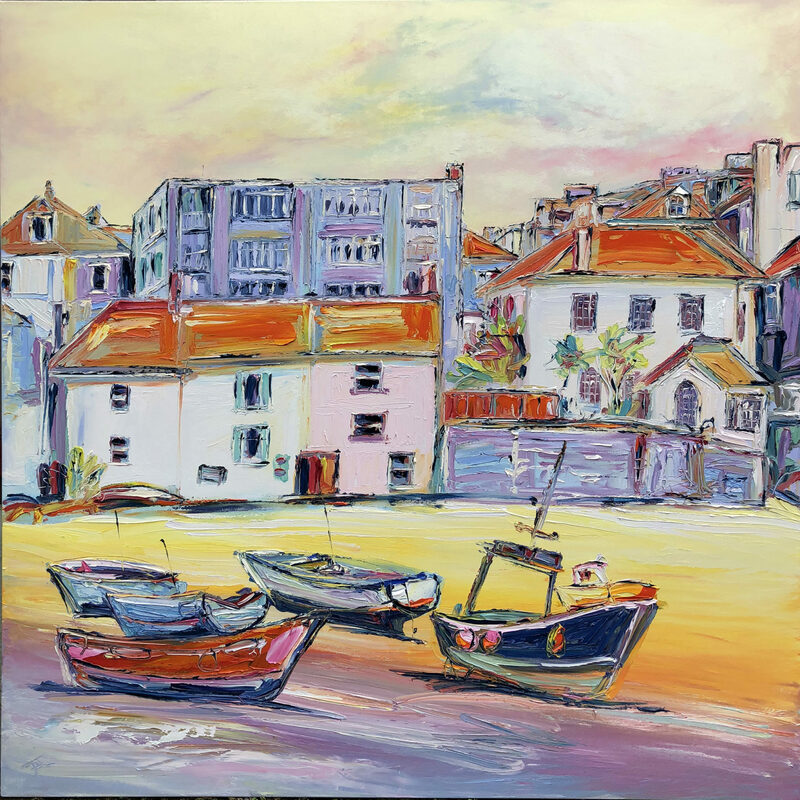 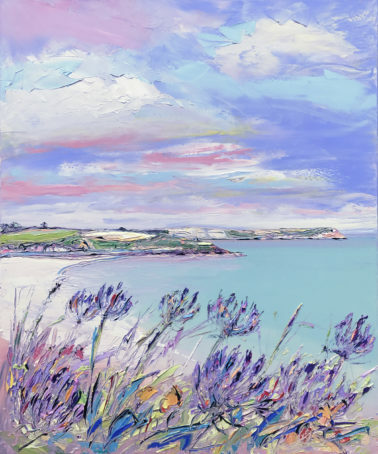 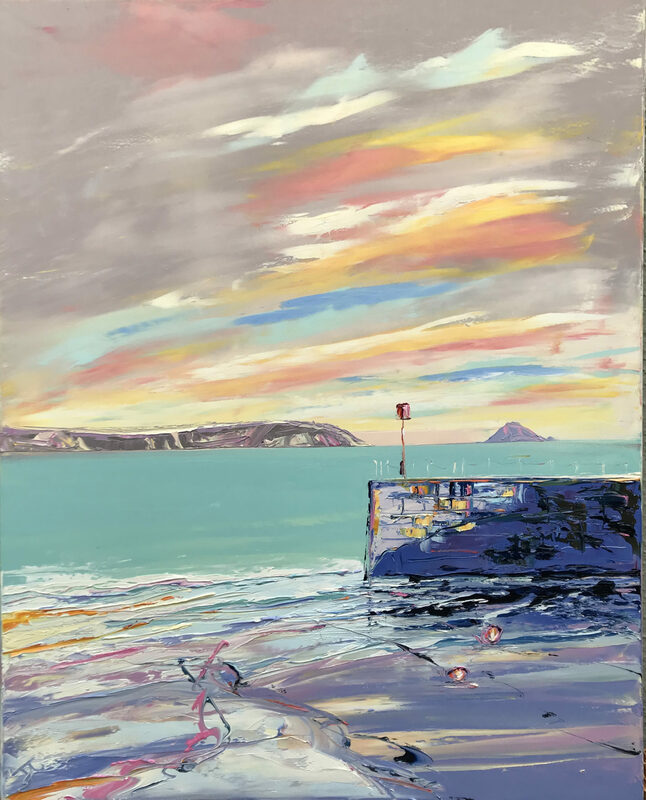 Joe loves to paint ‘plein air’ (in the open air) as much as possible and he can usually be found painting around the streets and coastlines of Cornwall during the Spring and Summer months. 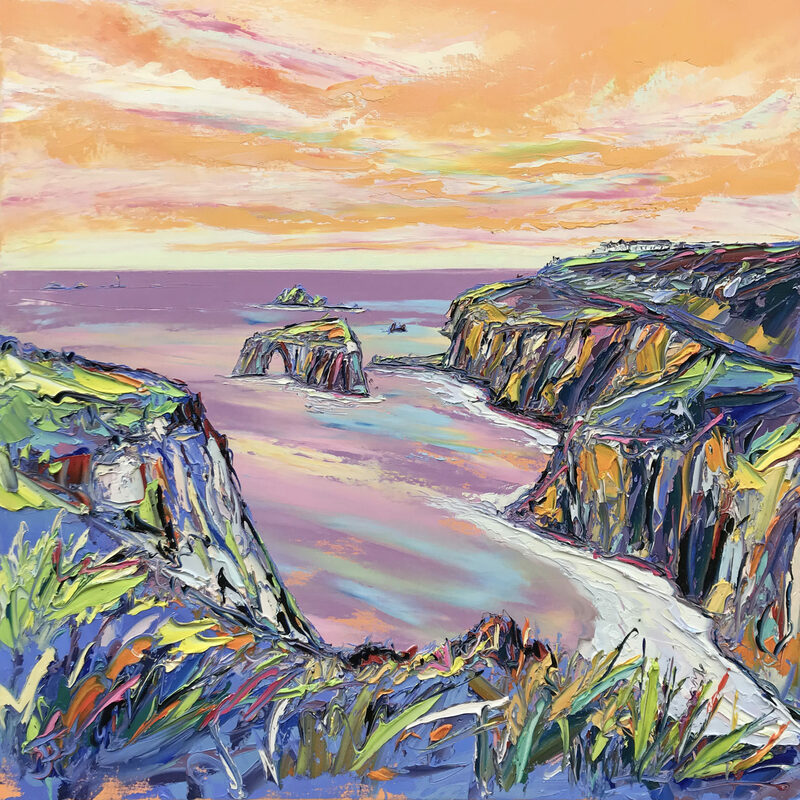 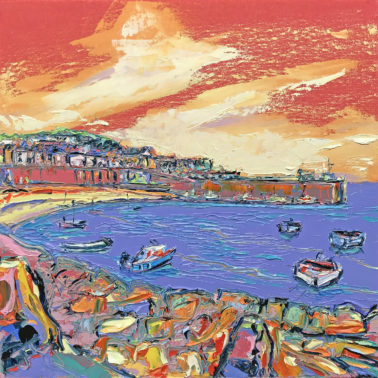 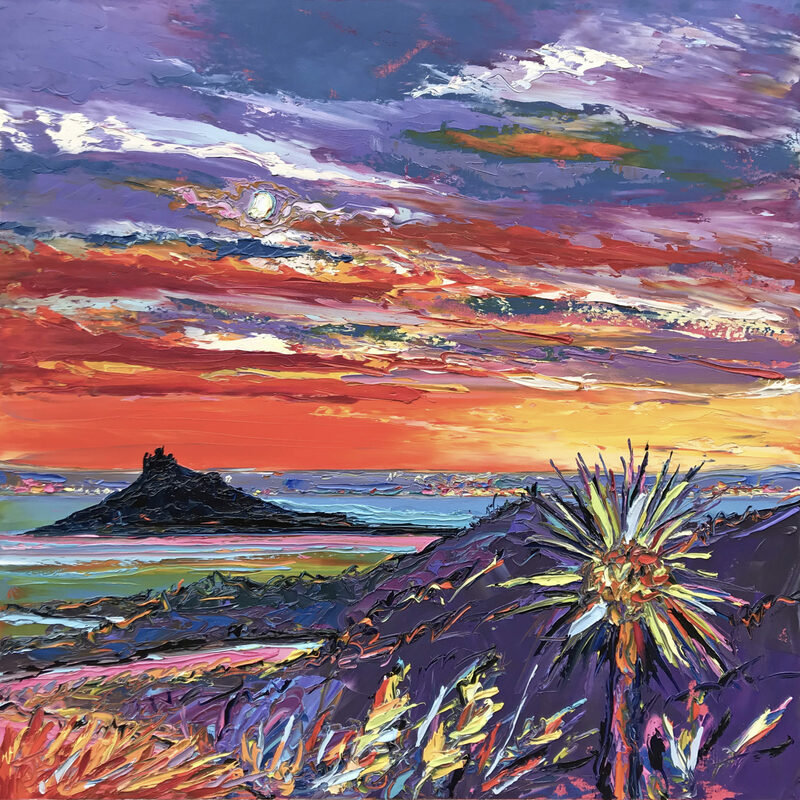 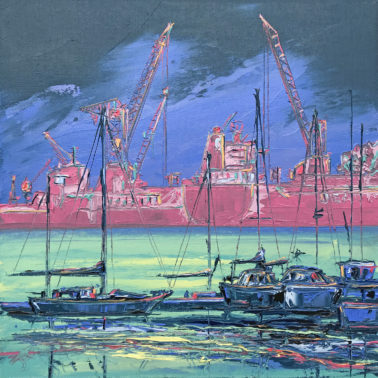 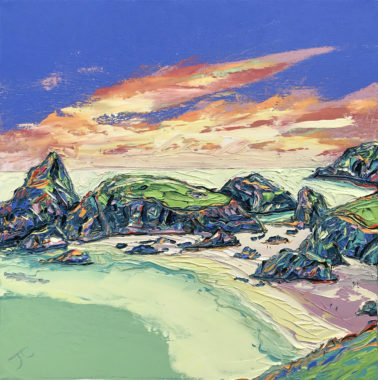 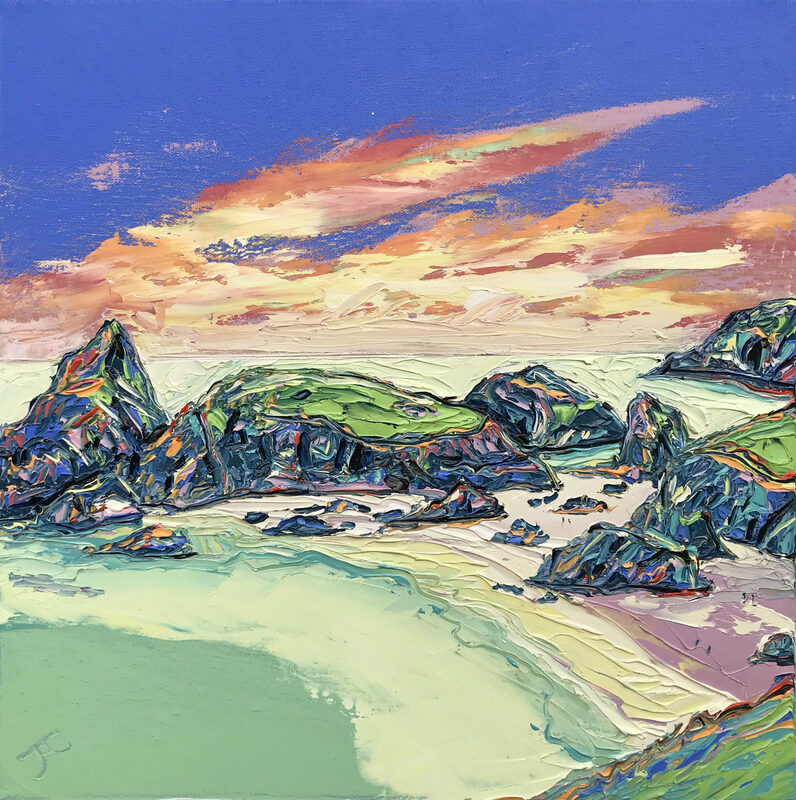 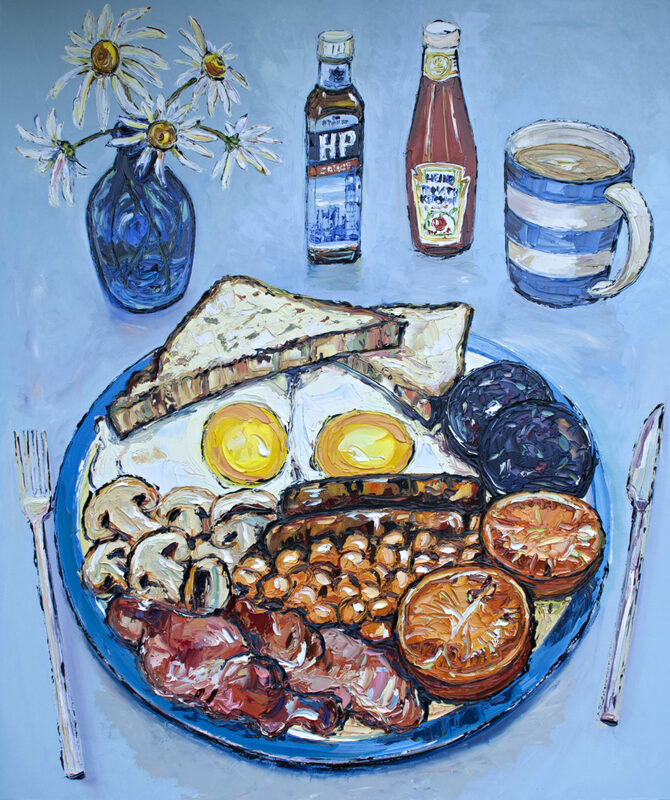 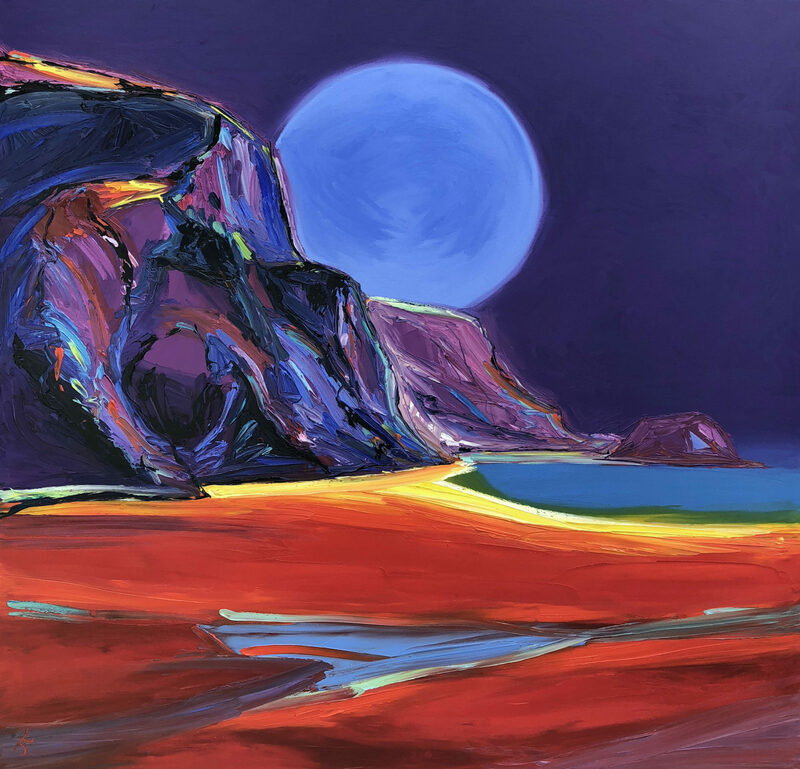 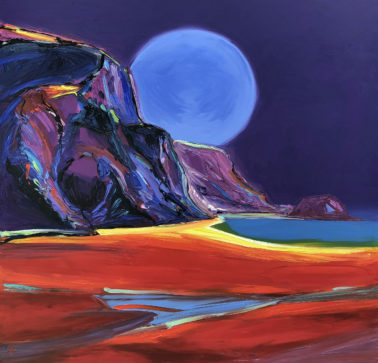 Joe has become one of Cornwall’s most sought after artists and his work is in collections all over the world. 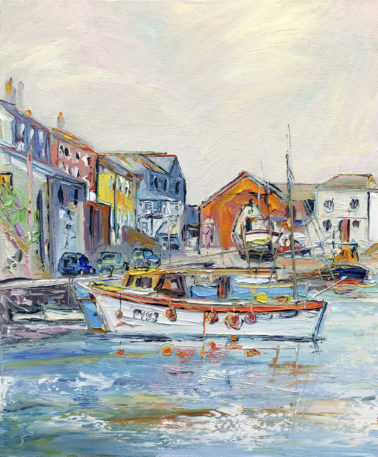 And if you’re very lucky, generously, Joe occasionally leaves paintings as gifts around the streets of Cornwall!